You can always take the bike with you. The CHANGE urban utility folding bike is designed for biking commuters. You can always take the bike with you. Most compact folding bike is small enough to fit under your desk at work. Or take it with you while shopping. And of course, at home, your bike can live in a secure location in the house, rather than in the less secure environment of the shed or garage. Fully Diamond Frame design, standard Road frame geometry. Passed European Racing bike frame test, EN 14781. Precise Alignment, Smallest, Lightest, part compatibility, Toolless. Creative design for the kickstand and hook fixing devise. 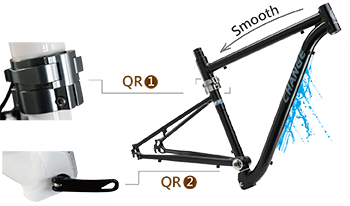 The ONLY Folding Bike Frame that has passed the EN 14781 700C test. This aluminum kickstand and hook fixing devise are customized for Change bikes. With them, the bike can roll, carry and stand easily wherever you take public transportation system, elevator or any kinds of travels. Kickstand and Hook Fixing Devise for Change 700C Road Bikes. Kickstand point is the frame rear end and hook fixing device is on the front fork. Non-interference while folding and unfolding process. With them, the bike is very easy to Roll when folded. bikes don’t include the kickstand and hook fixing devise. It is the ONLY folding frame design to achieve. 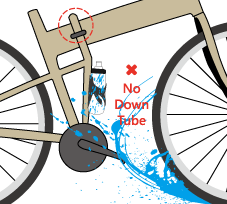 Down tube is a key support of a bike. Without down tube, the bike can't withstand the heavy. No any mechanical part on top tube, no fear of straddling the bicycle. 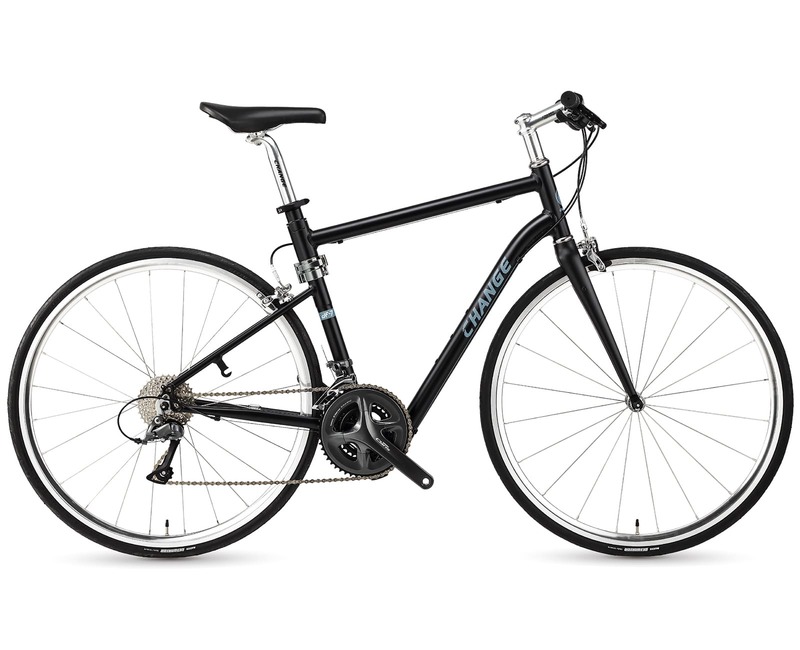 700C full size bike is low center of gravity, allowing greater stability. It is the ONLY folding frame design to achieve strictly European 700C frame safety test, EN 14781 certification. Multi-size frame available (460mm, 490mm, 520mm, 550mm) to meet people of different height and ergonomic. Front triangle frame enables folded ( close to a 700C wheel size) that can be easily placed in the trunk and the front wheel can be fixed on special natch to prevent scratching the bike body.